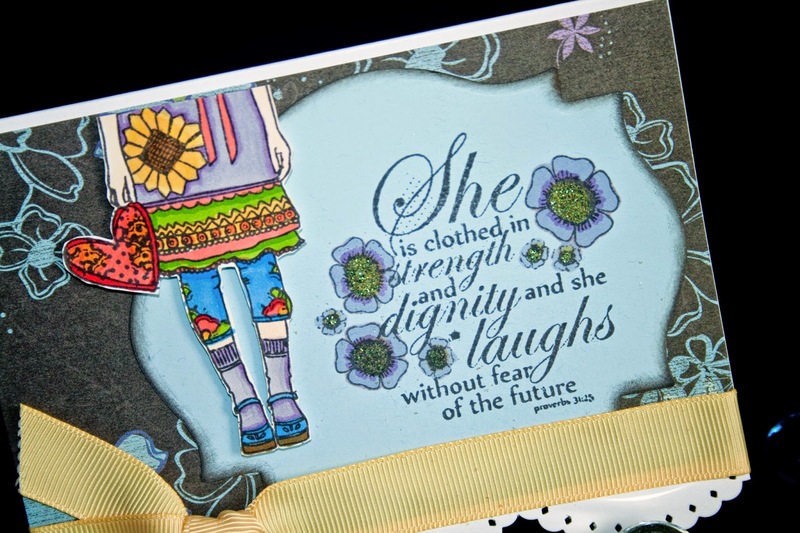 Hi Stampers, Today's inspiration was from a card on the Unity website here. I just love this verse and loved just the feet of one of there many girls! 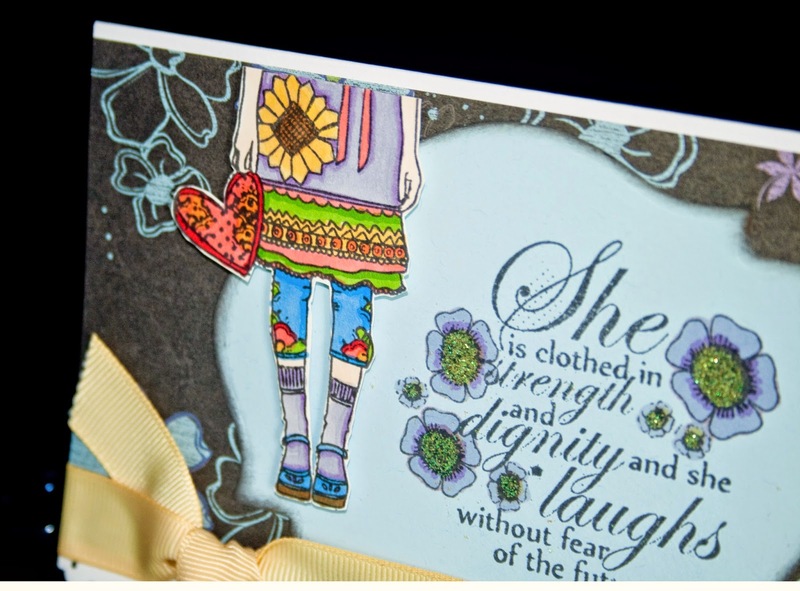 This one holding the heart is perfect to me....I stamped on a light blue cardstock with Espresso Truffle Ink....the girl is colored with Copics. The bottom border punch is an old EK Success one.